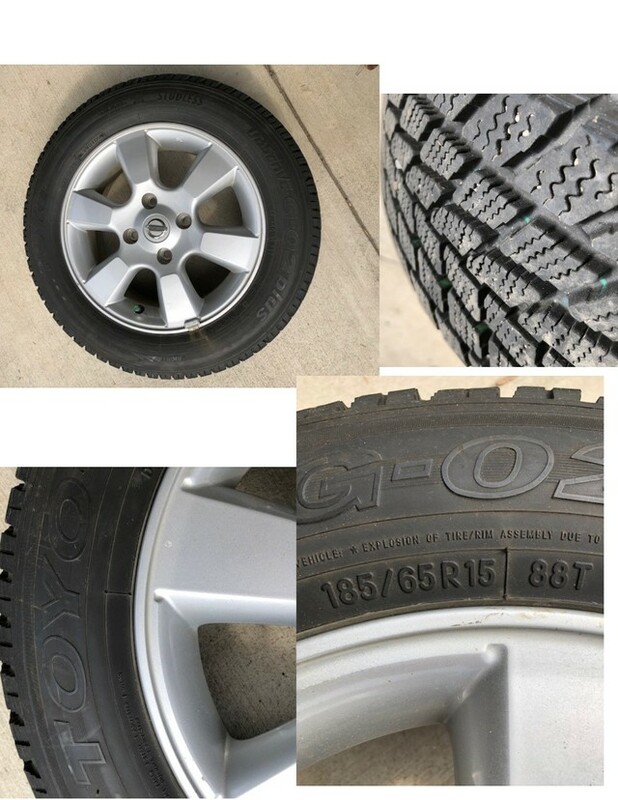 Set of 4 Winter Tires on rims. Came off a Nissan Versa. Stock Nissan rims in excellent condition and tires are hardly worn. Sold car and no longer needed.